Westminster Party Boats are one of London’s premier luxury cruise and river thames party boat companies. They are also part of the Circular Cruise Westminster. 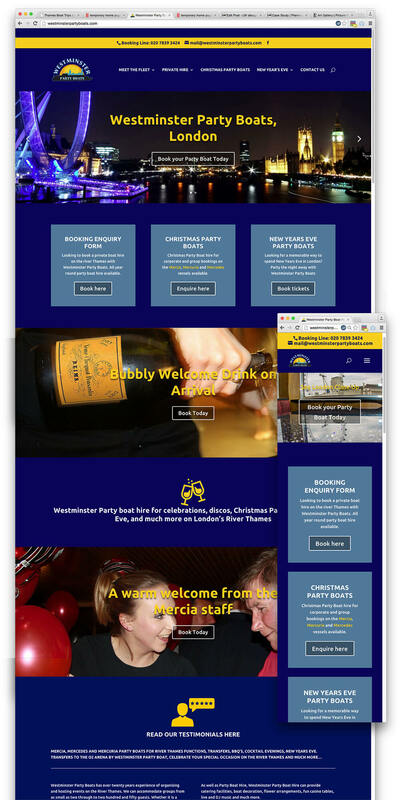 Westminster Party Boats trust LW design to review and rebuild their website to keep it current and up to date. LW Design continue to help us promote our website and throughout the process they are helpful, flexible, full of useful advise as well as quick to react to any urgent changes. Our new website is clear, concise and friendly, it achieves our original objectives, to get more enquiries for Private Hire.